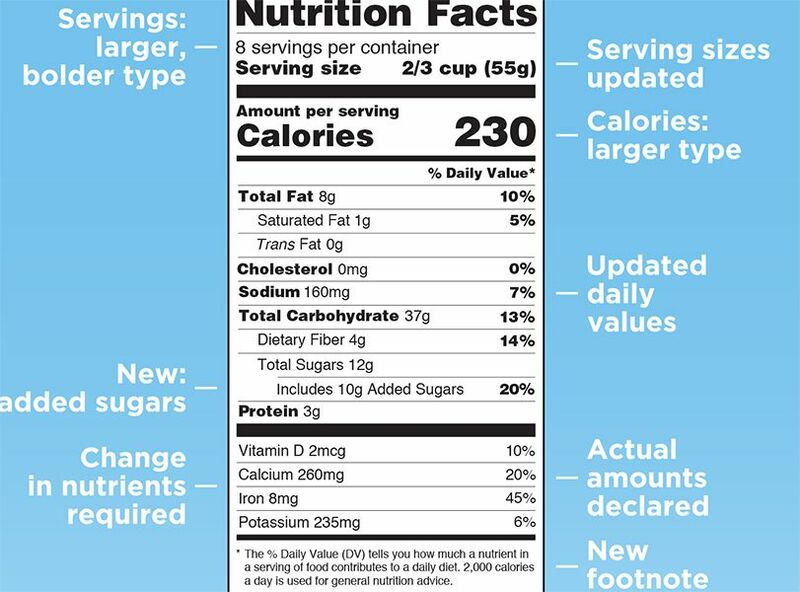 The line for "sugars" will become "total sugars" and require that the number of "added sugars" be declared. This will let you easily see how much of a day's worth of sugar you're eating in every portion, the kind of information we already have about fat, sodium and other nutrients. However, the deadline for manufacturers to include this information has been extended to 2020, so it's still up to you to scrutinize labels for now. Sugars added to processed foods aren't physiologically different from the naturally occurring sugars in fruit for instance. But unlike fruit -- and other nutrient-rich foods -- sugary processed foods often lead to overeating. For example, most people don't overdo berries, but do overdo sugar-sweetened drinks, cookies and other desserts. In fact, about half our added sugar intake is from sweetened beverages like soda, energy-, sports- and juice drinks. Many used to worry only about tooth decay from sugar. Now we know there's a relationship between excess sugar, weight gain and chronic diseases like type 2 diabetes, high blood pressure, heart disease and nonalcoholic fatty liver disease. Limiting sugar to 10 percent of daily calories means capping daily intake at 6 teaspoons for women and 9 teaspoons for men. Since current labels do state total sugar content in grams, with a little math, you can get a good idea of how much sugar you're taking in. Four grams of sugar roughly equals 1 teaspoon. So just divide the sugar grams in a food portion by 4 to estimate the number of teaspoons it has, then keep a running total each day. And remember that just one can of soda with 40 grams of sugar equals 10 teaspoons -- more than a day's worth.